Axia Public Relations Scholarship. This scholarship assists outstanding college students with financial needs in their pursuit of a public relations career. Award: $2,000. Robin M. Urbanski Memorial Scholarship. This scholarship is designed to honor a student entering his or her junior or senior year at a four-year accredited institution for his/her mentoring of others and his/her commitment to public relations. Award: $1,000. Ofield Dukes Multicultural Student Award. This award recognizes young public relations juniors of African-American/Black, Hispanic/Latino, Asian, Native American, Alaskan Native or Pacific Islander ancestry for outstanding academic achievement. Award: $1,000. Neumeier Family Leadership Award. Open to all graduate and undergraduate PRSSA members, the Neumeier Family Leadership Award recognizes a student who has demonstrated an outstanding record of effective leadership in PRSSA, the campus and/or the community. Award: $1,000. Chester Burger Scholarship for Excellence in Public Relations. This scholarship encourages graduate public relations students to pursue careers in corporate public relations. Graduate students studying public relations, journalism or a related field with a minimum 3.0 undergraduate grade point average may apply. Award: $1,000. Ron Culp Scholarship for Mentorship. This scholarship honors a senior for their mentoring others in their career and their promotion of public relations as a career choice. Award: $1,000. Lawrence G. Foster Award. Open to all PRSSA members, this award recognizes a student who demonstrates outstanding potential as a future public relations professional. Award: $1,500. John D. Graham Scholarship. This scholarship recognizes public relations seniors on their academic achievement, leadership, practical experience and overall commitment to public relations. Award: First Place $3,000; two Runners-Up $1,000 each. Stephen D. Pisinski Memorial Scholarship. This award is given each year to a deserving junior or senior majoring in public relations, journalism or communications who demonstrates outstanding leadership in school and in their professional life. Award: $1,500. Betsy Plank/PRSSA Scholarships. This scholarship honors three outstanding public relations juniors and seniors for their academic achievements, demonstrated leadership, practical experience and their commitment to public relations. Awards: First Place $5,000; Second Place $1,500; Third Place $1,000. PRSA Diversity Multicultural Scholarship. This scholarship awards two talented undergraduate communications students of African-American/Black, Hispanic/Latino, Asian, Native American, Alaskan Native or Pacific Islander ancestry with a minimum 3.0 grade point average. Award: $1,500. Marcia Silverman Minority Student Award. This award recognizes a minority student heading into his or her senior year who has demonstrated outstanding academic achievement as well as a commitment to public relations. Award: $5,000. Gary Yoshimura Scholarship. This scholarship helps students needing financial assistance to complete their public relations education. Award: $2,400. Altschul Champions for PRSSA Outstanding Internship Award. This award recognizes public relations students who had a great internship experience. This award honors a student and their internship provider for achieving outstanding success in a public relations internship. Award: $500 and a certificate. Daniel J. Edelman/PRSSA Award for the Outstanding Public Relations Student. 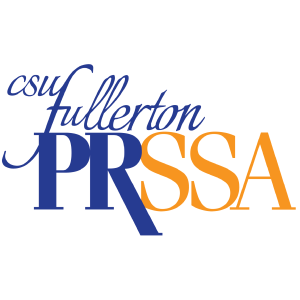 Open to all PRSSA members, this award recognizes members who have demonstrated exceptional leadership ability, a commitment to a career in the field and have contributed substantially to PRSSA. Award: $1,500 and a three-month paid internship. Ruth Edelman/PRSSA Award for Achievement in Women’s Leadership Development. Open to all PRSSA members, this award recognizes members who have demonstrated achievement in women’s leadership, women’s studies and/or contributions in the field to promote women’s issues. Award: $1,500 and a three-month paid internship.